If there’s only one thing that I could change about my hair, it would be the volume for sure. I have very fine and thick hair, nothing to complain about though. However, trying to get a fresh morning blow-dry or curls lasting longer than after my lunch, that’s not going to happen. Beachy waves are my favourite hairstyle, but normally I don’t do it and not because it takes too much time and effort in the morning when you are in a hurry, it’s only because it won’t last more than a few hours, so why bother? I think every woman has experienced the struggle when hair gets so oily and sticky after you’ve washed it and put the conditioner on. It feels like you can never wash away the conditioner and it’s just heavy on your hair. I don’t know about you, but apparently I had a few experiences with this. So when the team at Tresemmé reached out to me and introduced me to their Beauty-Full Volume Collection, I was very interested and excited to try it out. Why? 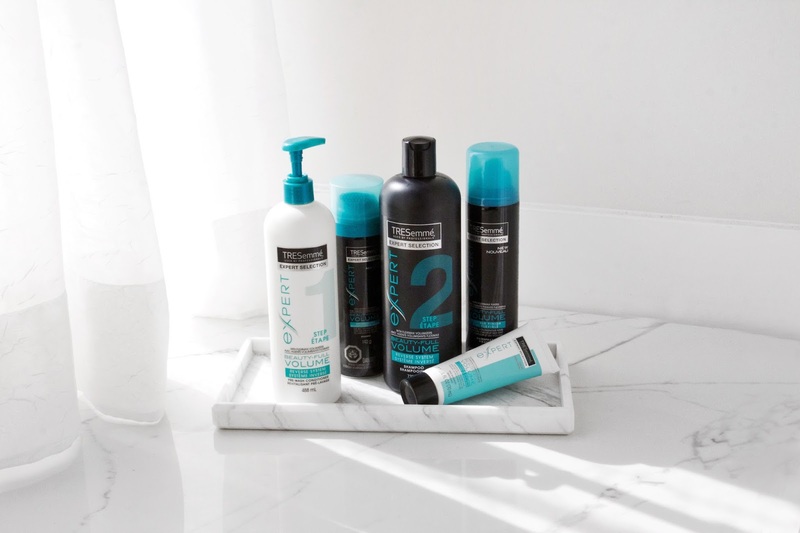 It’s conditioner first, shampoo second, a revolutionary reverse system. Exactly what I needed. 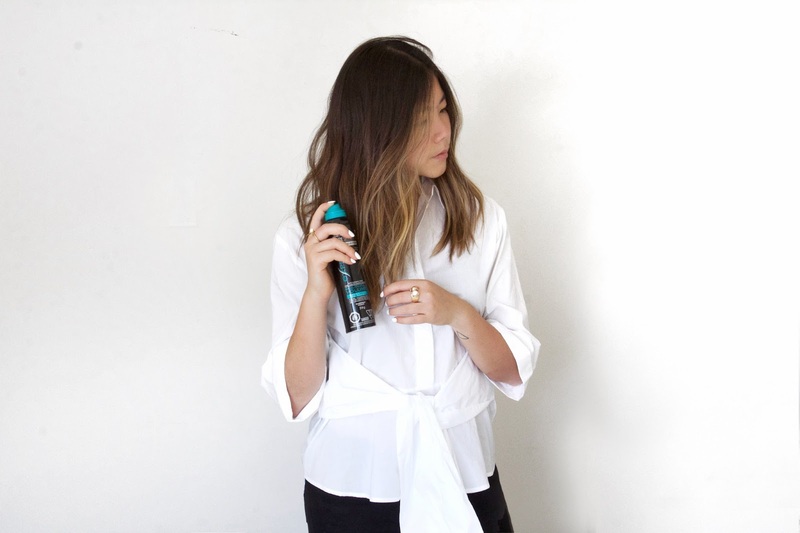 Yes, the steps are just that simple: Apply 3 – 4 pumps (depending on how much hair you have) of Tresemmé Beauty-Full Volume Pre-Wash Conditioner after you’ve wet your hair, leave it for around 1min and rinse it off. Next, use Tresemmé Beauty-Full Volume Shampoo to cleanse and wash away excess weight. My hair is very soft after the conditioner and is bouncy and has lots of body after the wash. Same two steps as how I normally wash my hair daily, but surprisingly very different results, just in reverse steps. I often like to add a little beachy wave for more drama when I have special events to go to or I’m out for photo shooting. 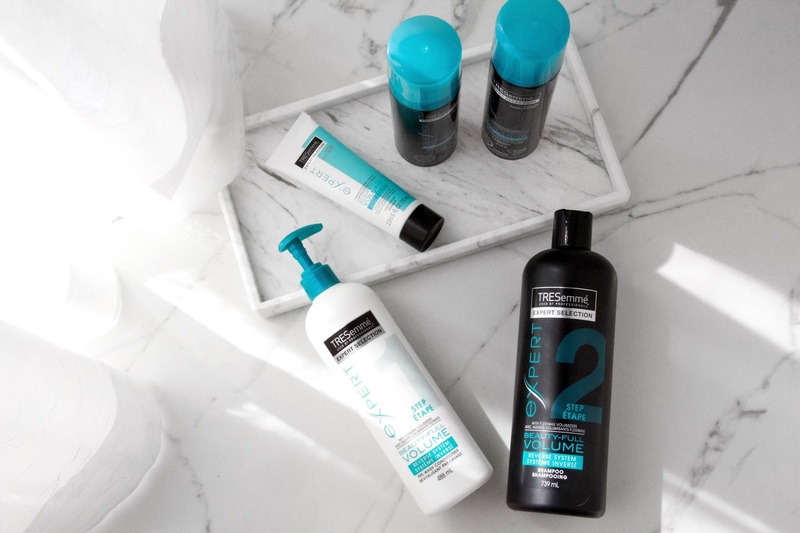 I first use Tresemmé Beauty-Full Volume Maximizer before I blow-dry to achieve both volume and softness. Second, apply Tresemmé Beauty-Full Volume Touchable Bounce Mousse at your root for a good lift and light hold. 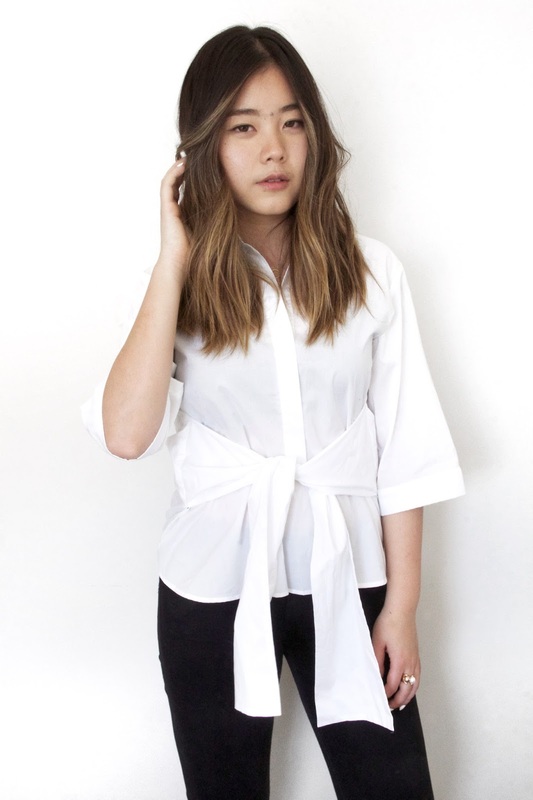 After that, I curl my hair in two layers using a 32mm curling wand. And finally, spray the Tresemmé Beauty-Full Volume Flexible Finish Hairspray to hold the end result for the whole day. I’ve been using the products for a few weeks already and I’m so happy to see that my hair has not only maintained its volume but also feels so soft and touchable. Try them out yourself and you’ll know what I mean. You can find the collection available at drug, mass and grocery stores nationwide!